When the weather turns cold, many pond owners consider the fishing season over and start looking forward to spring. Traditional pond fish such as large mouth bass, bluegill and channel catfish become less active and difficult to catch. A solution to keeping your pond productive from an angling standpoint is to stock trout. We commonly stock three species of trout. Brown and brook trout are typically stocked at sizes greater than 12 inches. 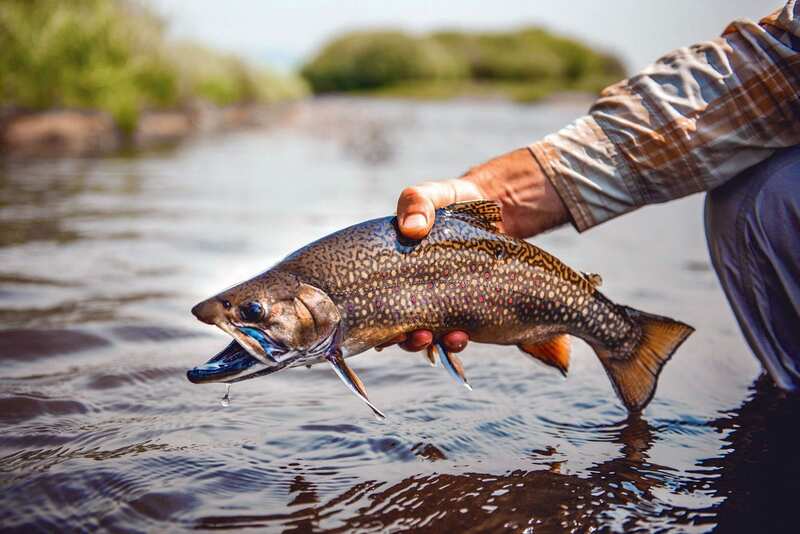 Brown and brook trout are more predatory than rainbows, so we recommend fishing for them with small spinners or other minnow-imitating lures. Our favorite species to stock is rainbow trout. Rainbows can be used for many purposes since different sizes are readily available. We stock smaller sizes from 6 to 10 inches as bass forage. It is critical to supply bass with high calorie forage as they prepare for the upcoming spawn. Trout are better forage than bluegill because trout have soft fins that will not choke the fish. If you have ever seen a dead bass on the surface with a large bluegill stuck in its throat, then you know what we are talking about. Additionally, we stock larger rainbows to provide action for anglers. If clients have family coming over for Christmas, we encourage them to get trout stocked, as it will give guests an extra surprise. We also have intermediated sized rainbows that perfect to grow up. All three of the trout species we stock readily take fish food, but rainbows in particular respond the best. Mainly clients enjoy stocking 10- to 12-inch rainbows and growing them up through the winter months to finally harvest in the late spring. It is critical to use high-quality fish food to grow trout. Their growing season is short, so using feed with high protein and fat content will maximize growth. We exclusively use Purina Aqua Max fish food to feed our client’s fish. This feed has 45 percent protein and uses fishmeal as the primary ingredient. Cheaper feeds purchased at local feed stores typically have 33 percent protein and are filled with chicken byproduct. Trout are no exception to this rule. Once water temperatures reach 70 degrees, they will slowly start to die off. Unlike other fish species, trout will sink to the bottom when they die, so no dead fish odor will be around the pond when they die. If pond owners purchased larger trout, we recommend they start harvesting in late April and May. An added benefit to using high quality fish feed is the trout taste fantastic. There is an old stigma that trout taste fishy if they are raised on fish food. This couldn’t be farther from the truth, as many past clients have just as much fun eating the trout as they do catching them. We have limited quantities of trout, so it is imperative that orders are sent in early. Grant Bobo is a biologist II with Aquatic Environmental Services, Inc. Contact them at (770) 735-3523, [email protected] or visit their website at www.lakework.com.